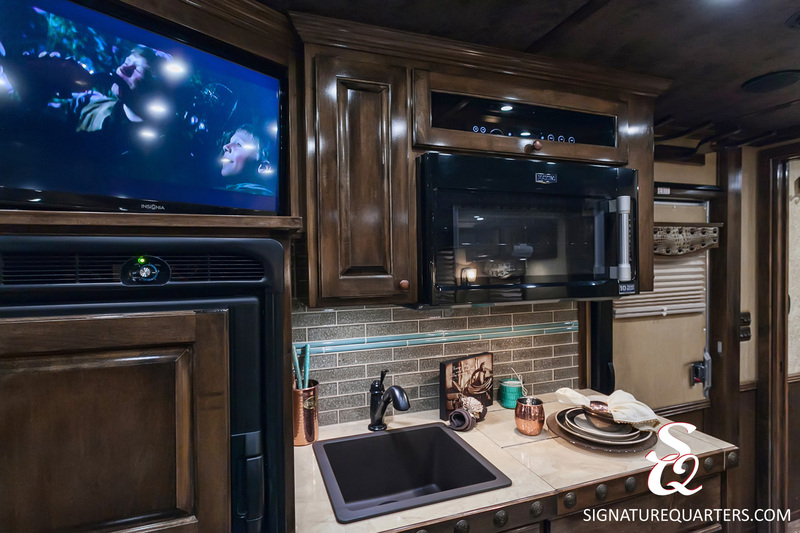 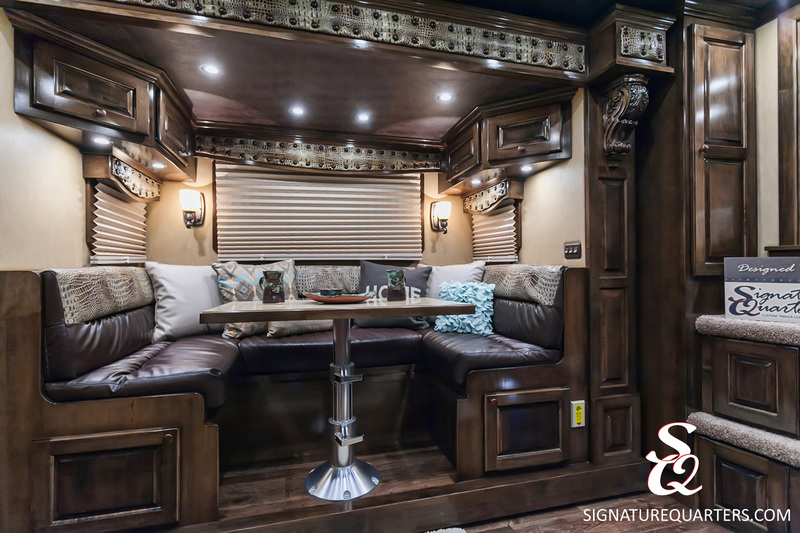 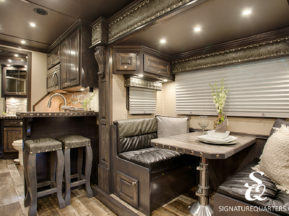 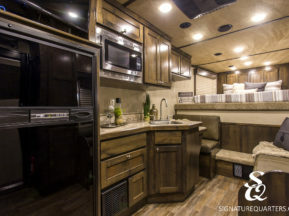 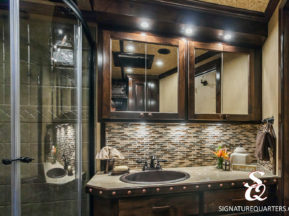 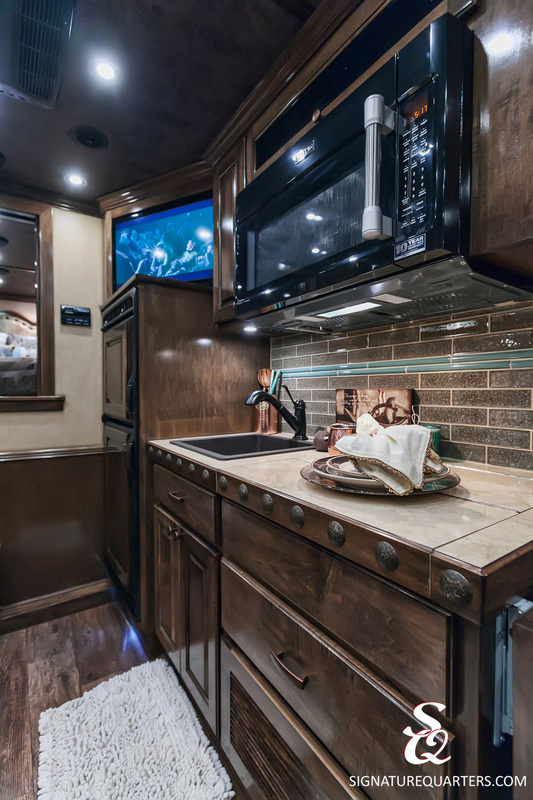 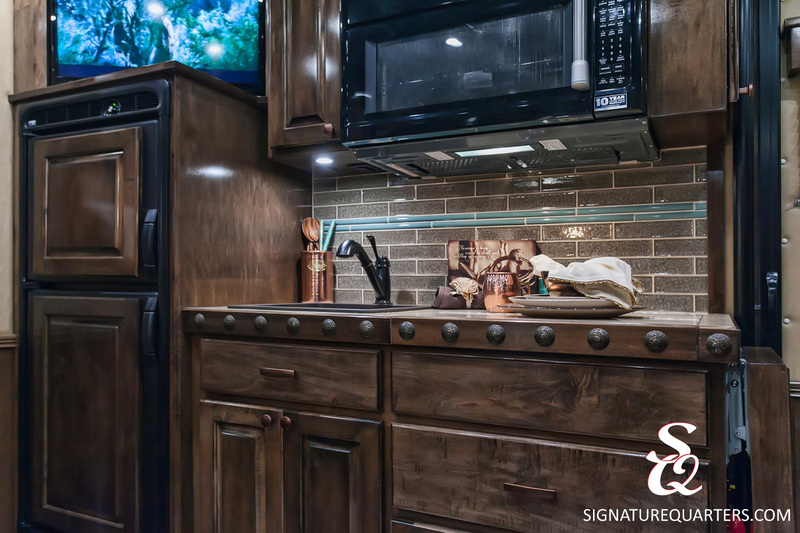 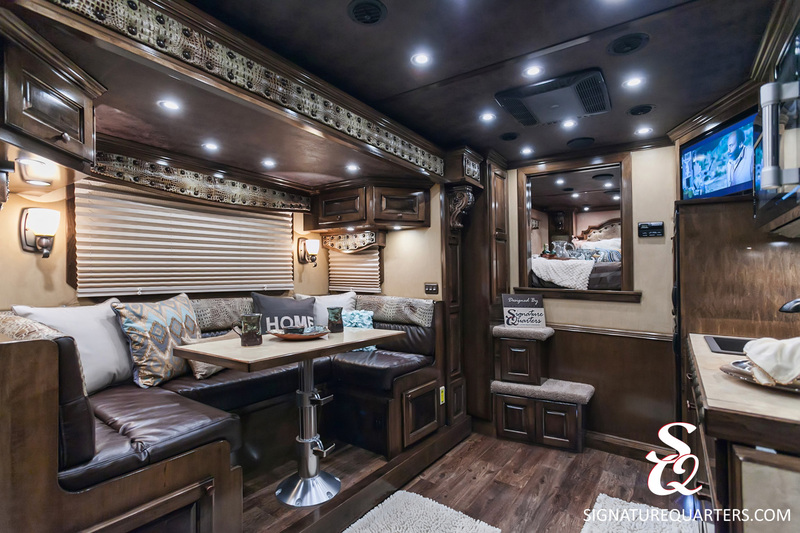 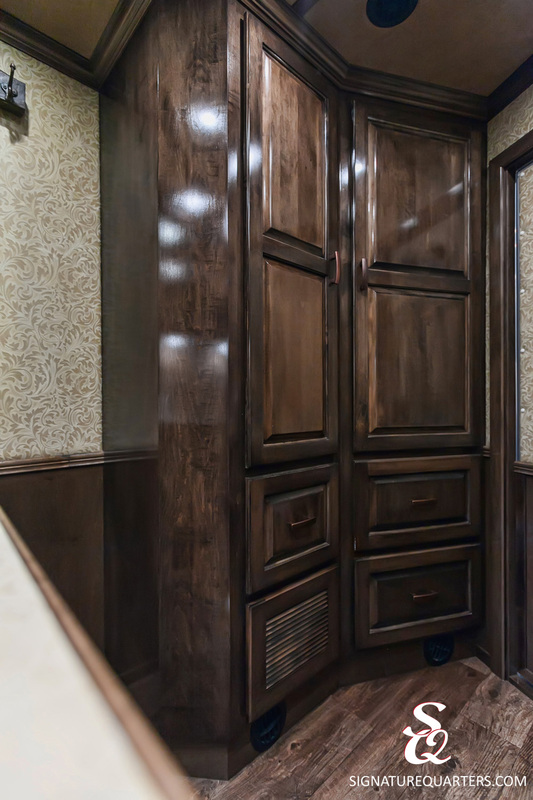 This trailer showcases a unique floorplan with a custom U-shaped lounge dinette with room for the whole family to gather round the table. 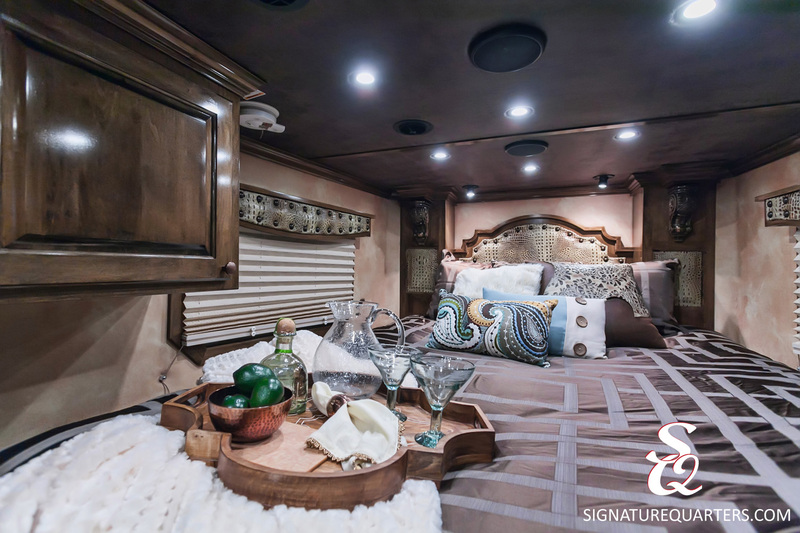 Exotic leather accents can be found throughout the living quarters from the couch cushions to the valances and headboard in the bedroom. 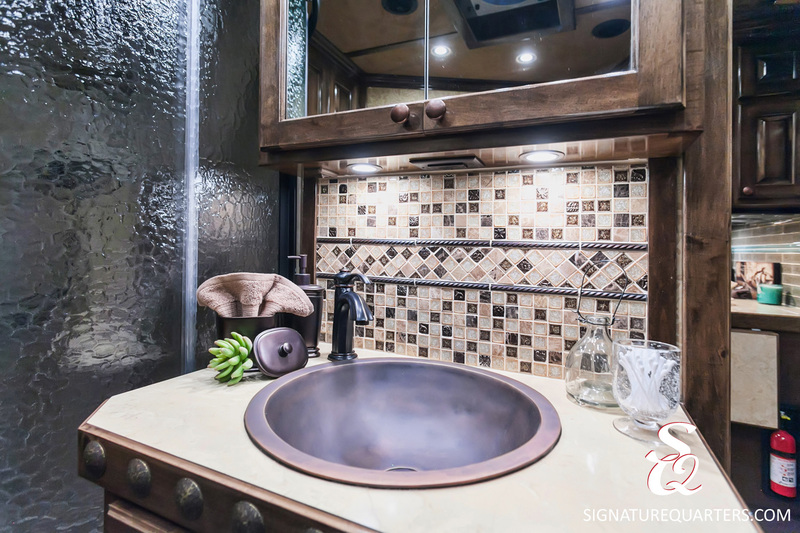 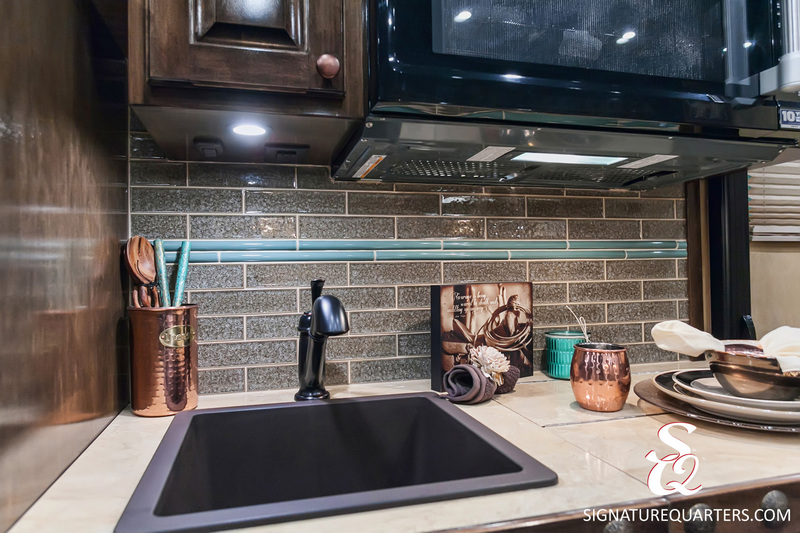 Both the bathroom and the kitchen feature glass tile backsplashes and a side entry door provides easy access to the bathroom from outdoors.